The use of artificial reverberation in recorded music has been available since the late 1940s and is commonly credited to the ingenuity of Bill Putnam Sr. . Following decades of technological achievement audio engineers are able to access an ever-growing variety of echo chambers, metal plates, springs, and digital emulations of an abundance of environments. A popular method in use today is the convolution reverb, a digital technique that uses controlled recordings of real spaces (called Impulse Responses or IRs) and applies them to every sample of a source sound, achieving an incredibly realistic simulation of that sound in the space. Curiously, given their unique acoustic qualities, impulse responses of caves are generally underrepresented in the audio engineer’s toolkit. 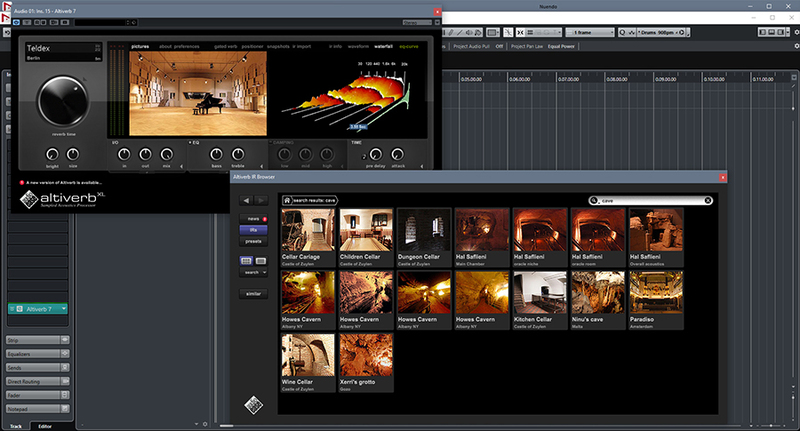 A browse through the responses in Altiverb, a popular high-end convolution reverb (figure 1), shows a small selection of caves relegated to the post-production (i.e. film sound) category ready to use for enterprising sound designers. This selection is far smaller than the availability of concert halls, churches, tombs, rooms and other acoustically critical spaces. 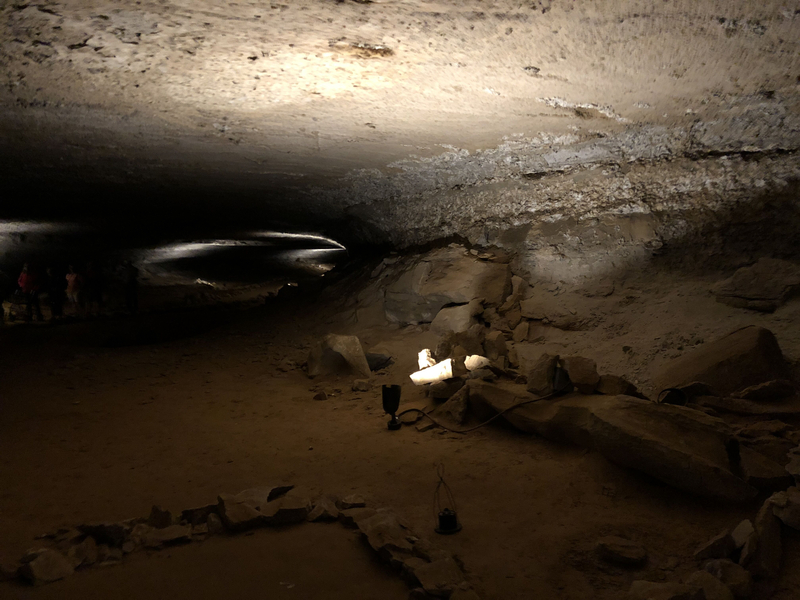 One potential reason for the lack of availability of cave impulse responses could be the logistical difficulty in getting recording and measuring equipment into the caves. Another reason may be simply a lack of consumer interest, with so many fantastic impulse responses of man-made structures readily available. For this paper, we sought to explore nature as architect and to demonstrate how incorporating the characteristics of these distinct structures can make a meaningful contribution to the audio engineer’s creative palate. 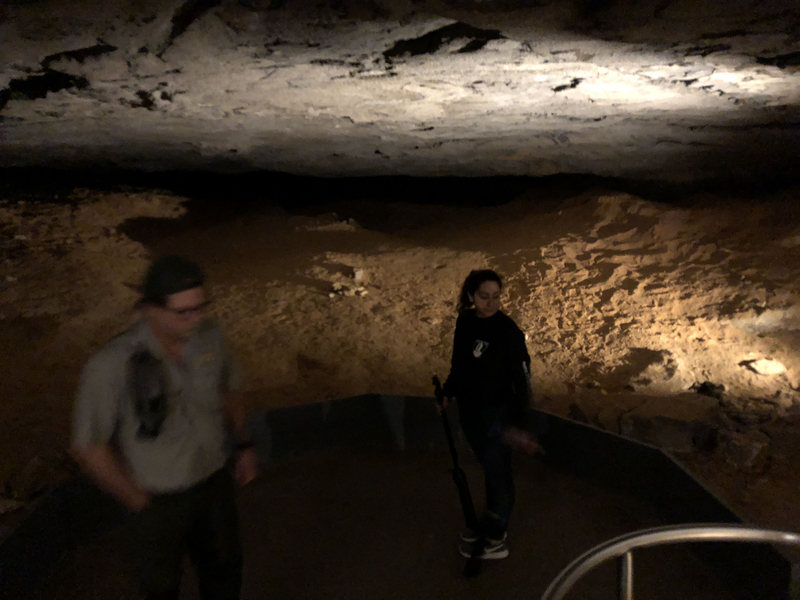 With the aid of scientists from the National Parks Service, we chose a few locations for analysis within Mammoth Cave – the longest cave system in the world. After capturing impulse responses, we analyzed the spaces to develop a set of useful applications for audio professionals. The Methodist Church was found to have a warm and pleasant sounding reverb to the ear (Figure 2), with a decay characteristic similar to a small concert hall. 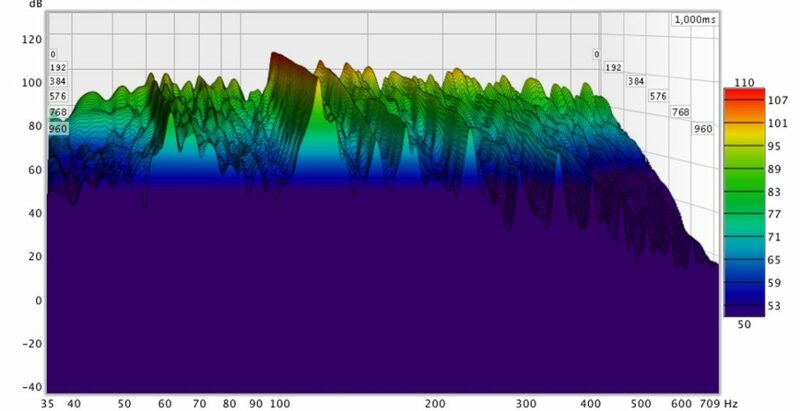 Lake Lethe, is an isolated, lengthy subterranean waterway, presents a smooth long decay (Figure 3) and is ideal for a multitude of echo applications. The Wooden Bowl Room (Figures 4 and 5) and Cleveland Avenue (Figures 6 and 7), were selected by our host scientist for having beautiful low, sustained resonances (which we found to be 106.2 Hz and 118.6 Hz, respectively) – suitable for applying depth and tension to a variety of sounds. These locations, carved over millions of years, provide opportunities for engineers to sculpt sounds that add an idiosyncratic character beyond the common reverbs available on the market. We hope that our work lays a foundation for further analysis of the characteristics of cave interiors and to a more individualized approach in using cave ambiences in music and sound design. Figure 1: A search for “cave” in Altiverb reveals Howe’s Cavern in NY and two locations in Malta, in addition to several man-made structures.